I started to learn to play the piano from age 6 and studied with Mr. Desmond Greef MBE for many years. 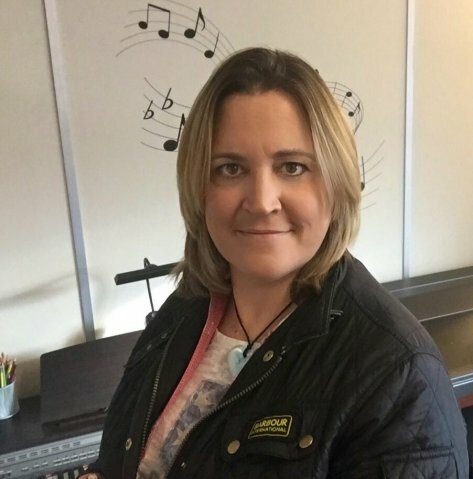 I have been teaching for over 16 years and currently run a music school in Kings Lynn called West Norfolk Academy of Music, where I teach piano and keyboard and have other specialist teachers who teach Guitar, Bass, Ukulele, Drums, Singing, Flute, Saxophone, Clarinet and Bassoon. We are also an official learning destination for Norfolk Children’s University. I have been teaching for over 23 years to all ages and abilities and have experience in teaching both on an individual basis and group lessons. I currently run my own Music School in Kings Lynn and teach pupils of all ages and abilities. My approach to music is very simple… I believe you should enjoy it!! I endeavour to make lessons fun and interesting for each pupil and strive to inspire no matter what your age or ability. Grades 1-8 ABRSM Piano including theory.